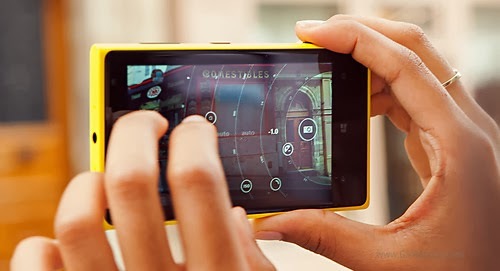 Nokia Lumia 1020 seems to be struggling to make a significant impact on the Chinese market. The first hints that its start was less than impressive was the fact that the phone didn't make it among the most popular WP handsets in the last two months. China is the world's biggest smartphone market for mobile phones and the Lumia 1020 premiered there on the insanely price of CNY5,999 - the equivalent of $1000 or €715. Now, two months later though you can buy the Nokia Lumia 1020 online for 3,999 Yuan or €475. This means the price has dropped down by a third and is now much more reasonable. The Lumia 1020 was launched exclusively on AT&T in July, while the rest of the world got it in late August or early September.
. The UK carriers are offering the phone for free if you sign a two-year contract with at least £37 monthly tariff. The unlocked and SIM-free retail price in Europe is still relatively high though - a bit over €600. So, if you want to buy the Lumia 1020 maybe waiting a couple of weeks would be the more sensible thing to do. Judging by those first markets to get the smartphone, a price cut is probably just around the corner. 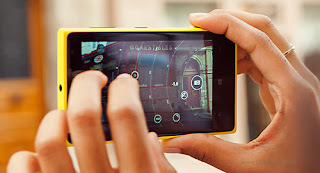 Even more so, considering that the Lumia 1520 is coming in a few weeks.